get you more traffic, subscribers and sales. 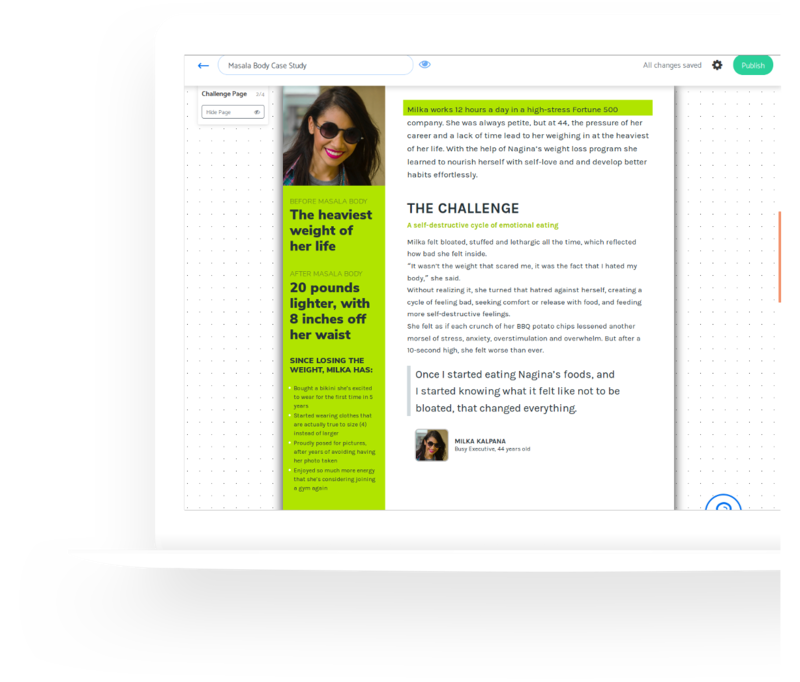 Every month we create and launch a tool that helps you grow your online business. Remember when you were a kid going through the grocery store with your mom, begging her to buy "anything but green beans"? Then like an oasis in the desert, you rounded the corner and spotted the sample lady. She was standing there. Hairnet fastened tight while she carved that 'gourmet' turkey. She had a passion that inspired you. You ran to her, mouth open, forcing back screams of joy, and grabbed that turkey slice. All you remember after that was the joy and fulfillment. In the face of green beans, you had just landed the greatest thing you could imagine. That's what Growth Tools is - minus the hairnet. We run an education company, Growth University. And over the last 5 years of growing it we kept trying different tools to help us increase our traffic, email subscribers, and sales. But, just like you, we kept finding major pieces of these tools to be missing, confusing or just too expensive. So, we started making our own internal tool set. Since then we’ve been able to 2x our growth and help our students be much more successful. Growth Tools is that tool set. Each month’ish we create and launch a brand new free tool. If you’d like to grow your business faster. 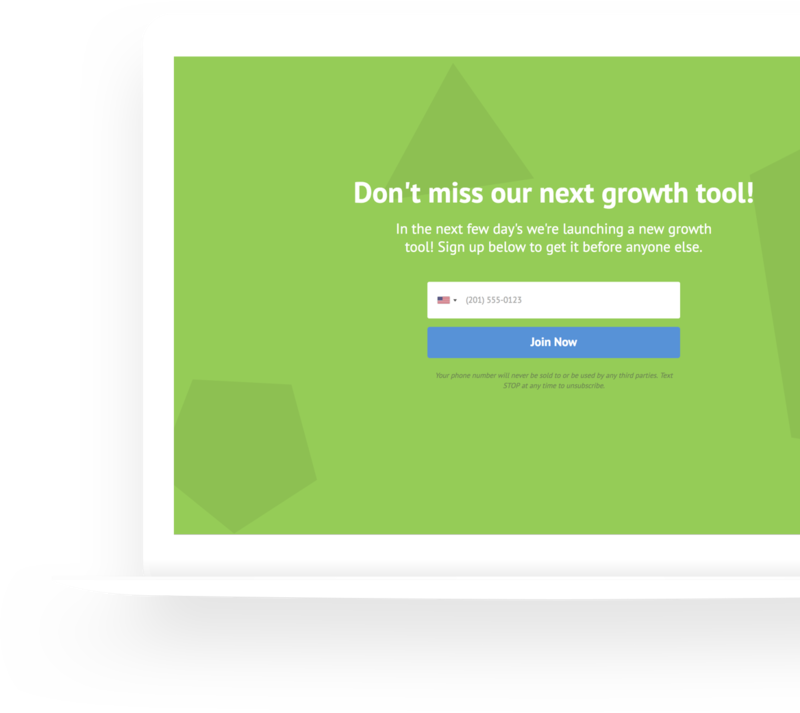 Try out Growth Tools. It’s free forever! Forget fiddling around with blah PowerPoint templates or spending hundreds on designers to make your lead magnets. Attract helps you find the right idea and build it fast. You shouldn't have to pay another monthly fee just to have a great-looking home page that can capture emails and grow your list. Welcome.ly gives you a quick, easy way to build yours free. 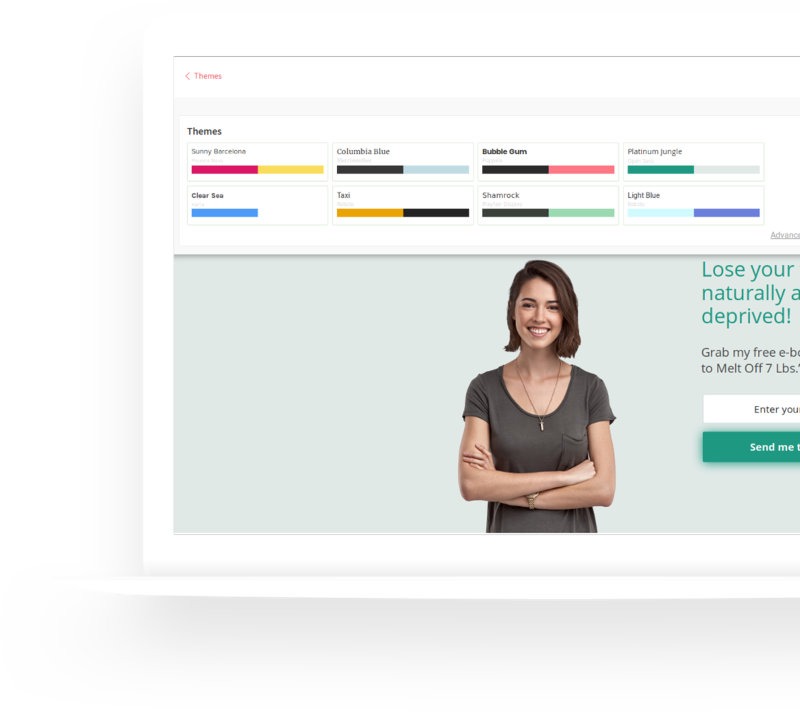 Customize our proven templates to match your brand. Get a live URL instantly or publish to your own site. Capture leads and send them to your email service at no cost. Most page builders charge you for collecting emails. Welcome.ly doesn’t. Not using an email service yet? No biggie—we’ll even store your opt-ins for you. Get quality traffic and shares to your website with a simple viral marketing campaign. GoViral helps you get more traffic and shares for your website. It does that by helping you create viral share pages that incentivize your visitors to tell their friends about your website. 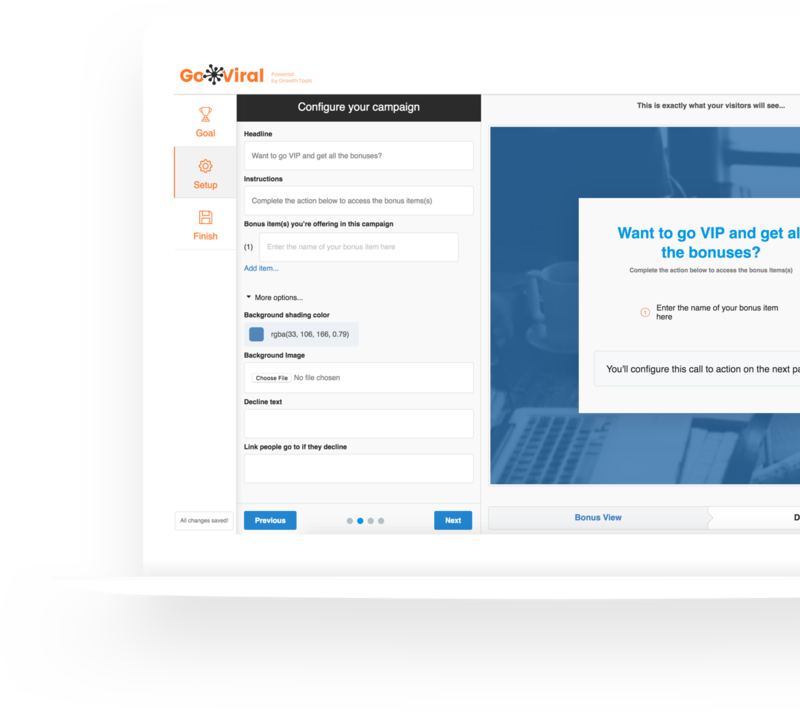 If you collect email addresses, host webinars, give away a lead magnet, or run email marketing campaigns, GoViral will work for you. Find small tweaks to grow your email list and monitor your list to any major problems. 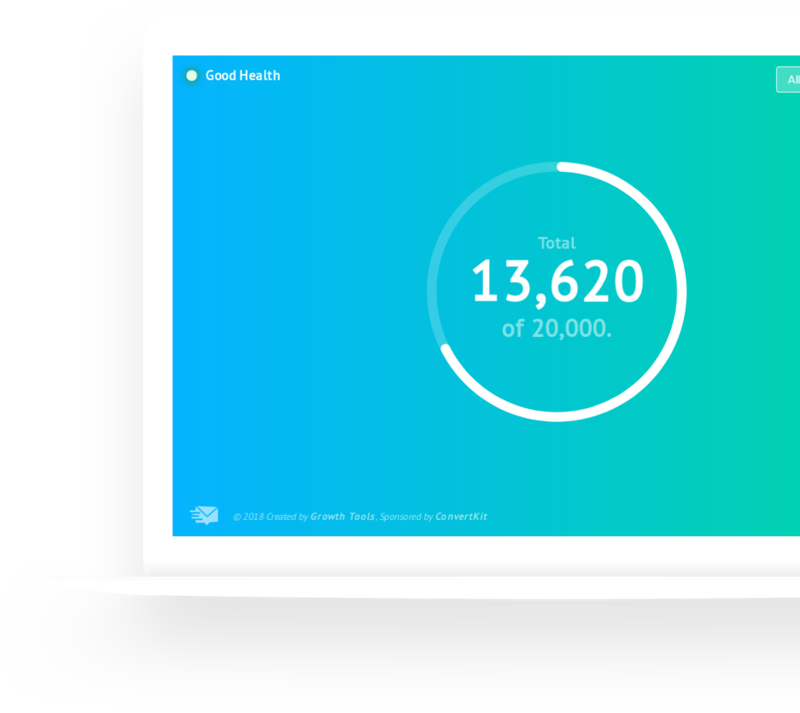 List Goal helps you grow your email list It does this by helping you pick your email list goal, showing you your progress towards that goal in your dashboard and finding simple ways to get you email email subscribers. It also alerts you if something seems out of whack with your list, like a spike in unsubscribes or a big fall off in your open/click rate. Collect phone numbers so that you can send texts about new content and promotions. Remind Them helps you start and grow your SMS list and get 30% click-thru rates on your messages. It does this by creating simple landing pages specifically for collecting phone numbers and allowing you to easily send messages to your SMS list. Since starting our SMS list we have seen a rise in traffic, email subscribers, and sales. 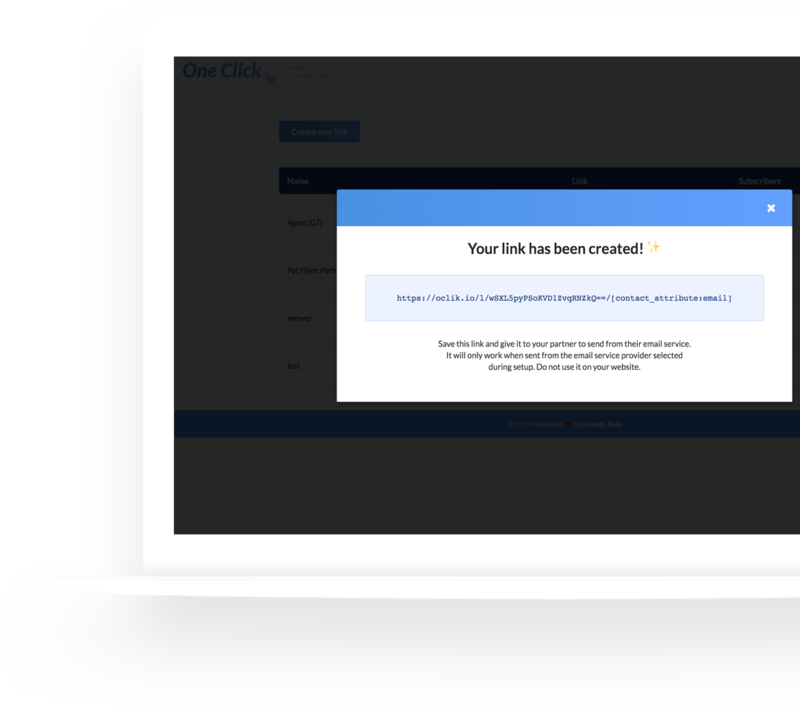 Get 35% more signups for partner promotions with a one click opt-in. Great for webinars. One Click helps you get more email subscribers when doing email campaigns with partners. 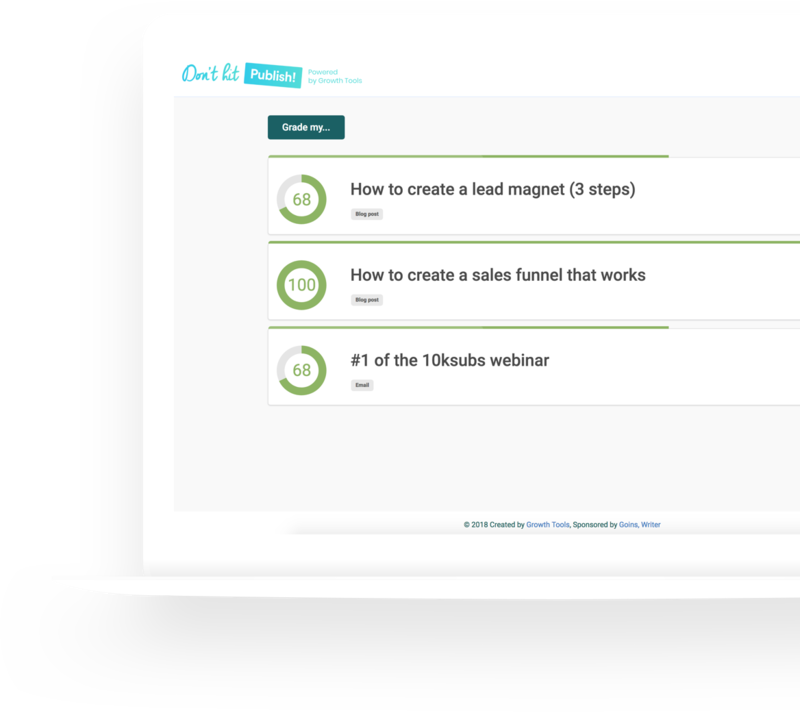 It does this eliminating the need for landing pages and allowing your partners email subscribers to register for your webinar, giveaway or lead magnet by just clicking a link. We have found this to increase our number of registrants by 40%. See the video demo for an overview. Find out if your next blog post or email is good enough to publish and give you a few pointers. Don’t Hit Publish allows your to write with confidence by telling you when your email or blog post is good enough to publish. It does this by giving you a simple to follow checklist to grade your writing and by making small suggestions on what to tweak so you get better results. Every email and blog post we publish is sent through Don’t Hit Publish first. 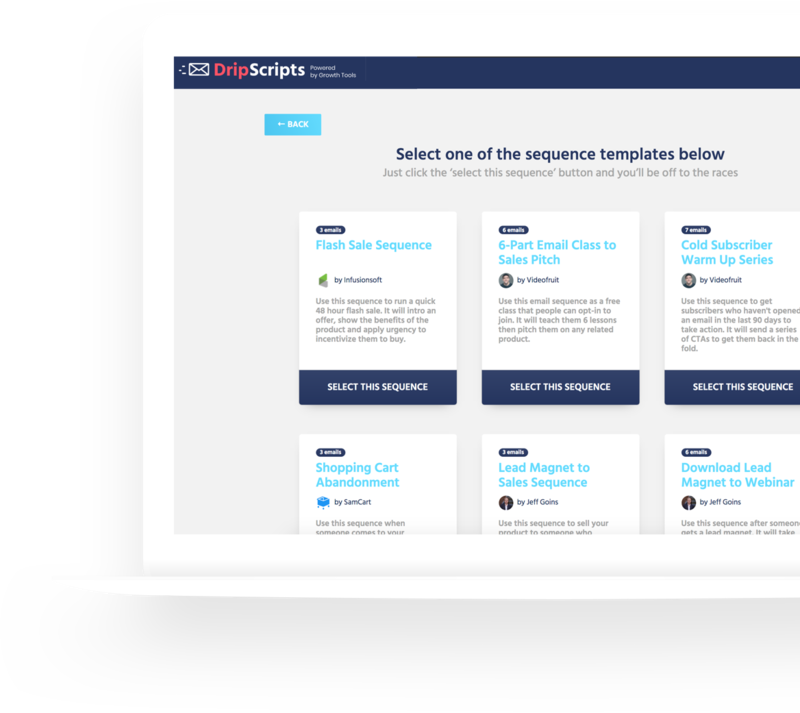 DripScripts lets you customize proven email sequences that are specifically structured to turn leads into customers. Stop fighting the blank page and get your free account now. Search from 1,000+ speaking gigs and use our workflow manager to get booked. Agent helps you find events to speak at, gives you the contact information for the event, and a built-in workflow to get booked. It does this by giving you access to a hand-curated database of 1,000+ local, national, and international events If you want to become a speaker or grow your speaking business, Agent is a gold mind of valuable data. WTF!!!!!!! I can't believe that you guys would give a FREE LIFETIME account to something like this. You guys are AMAZING. You always hear people say give value but you guys go far beyond that. NO ONE does more for their followers and I mean NO ONE. Thank you so much!